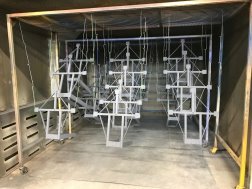 Here you can find a selection of products manufactured previously by Bowson Engineering Ltd.
Stillages for movement and storage of products in a range of environments. Machine guarding to protect against unauthorised access. Security guards/ window grills enhance security at your premises.